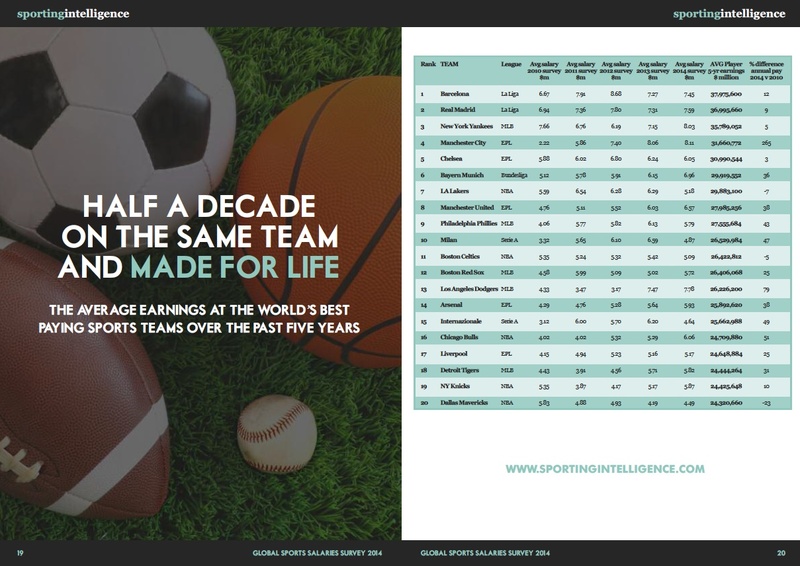 Manchester City are the best paid team in global sport according to Sportingintelligence’s Global Sports Salaries Survey (GSSS) for 2014, compiled by this website and also published this week by ESPN The Magazine to coincide with The Magazine’s ‘Money Issue‘ (right). The average first-team pay at City has been calculated at £5.3m per year, or £102,653 per week in the period under review. The New York Yankees and LA Dodgers of Major League baseball are second and third with Spanish football giants Real Madrid and Barcelona filling the top five. Five Premier League sides make the top 20 on the list, with Liverpool – who were 3-2 winners in the Premier League against City at Anfield on Sunday – in 20th place, earning an average of £3.4m per man per year. Manchester United are at No8 on £4.3m per man per year, Champions League semi-finalists Chelsea are at No10 (nearly £4m) and Arsenal are at No11 (£3.9m). The top 10 also includes the Brooklyn Nets of the NBA (at No6), Bayern Munich (No7), and the Chicago Bulls of the NBA (No9). Sheikh Mansour and Roman Abramovich are billionaires who have transformed City and Chelsea but England is not the only country where sugar-daddy owners are transforming teams. The Brooklyn Nets were bought in 2010 by one of Abramovich’s fellow Russian billionaires, Mikhail Prokhorov. Not only is Prokhorov footing the Nets’ $102m total payroll in 2013-14, or $6.8m (£4.5m) per player this year, but he will need to pay an additional $70m (around £42m) or thereabouts in luxury tax for exceeding the NBA’s wage cap. The GSSS looks solely at earnings for playing sport, not for endorsements or other extra-curricular activities. The 2014 report considers 294 teams in 15 leagues in 12 countries across seven different sports: football, baseball, basketball, gridiron, cricket, ice hockey and Aussie Rules football. The report looks at numbers from either current or most recently completed seasons, depending on availability of accounts and other information. The NBA is the highest-paying league as a whole, with 441 players at 30 teams in the 2013-14 season earning an average of £2.98m per year each. 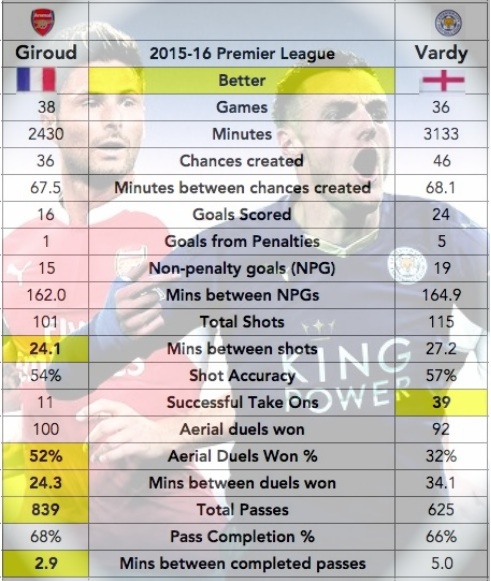 The Premier League is the best paying football league in the world, with the average annual pay at £2.27m per player. To see the top 12 teams in detail, click on the graphic (left) to enlarge it. The whole list as well as supplementary tables and analysis are in the full GSSS 2014 (cover, below right). 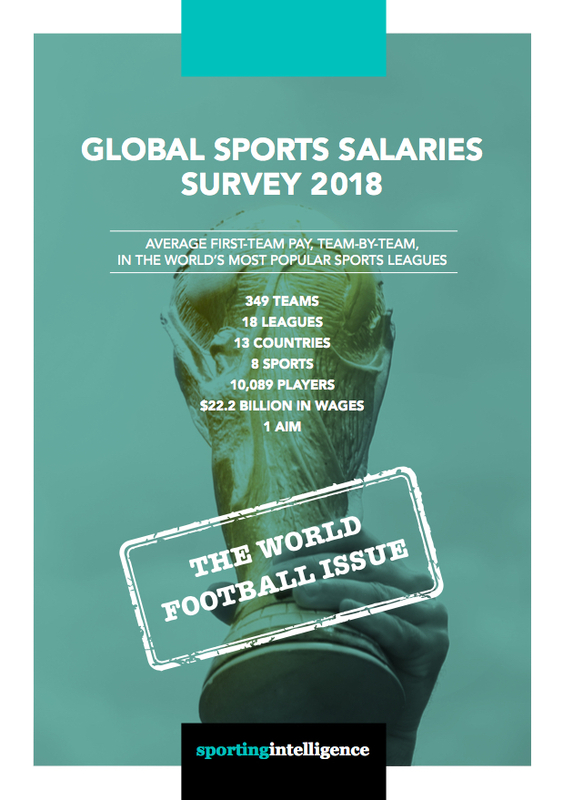 The salaries report features average salary information from the dozen most popular sports leagues in the world (by average attendance per game), which are the NFL, Bundesliga, Premier League, AFL, MLB, La Liga, CFL, NPB, Serie A, IPL, NHL and NBA. In addition, MLS, SPL and CSL (Chinese Super League football, new this year) are included as examples of smaller leagues from the world’s most popular sport, football. Figures used are from the 2013-14 seasons in NBA basketball, NHL ice hockey and NFL American football, from the 2014 seasons for MLB baseball and MLS football, and from the seasons completed during or at the end of 2013 for the other leagues. 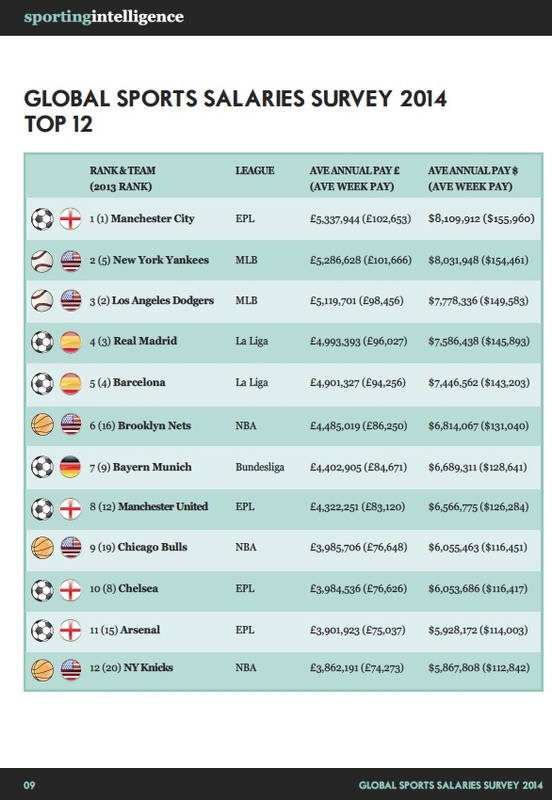 This is the fifth edition of Sportingintelligence‘s review of global pay in team sport and this year’s report includes a section detailing the 100 teams who have paid the most money per average first-team player over five years. Barcelona top this list; with a ‘typical’ player at the Nou Camp earning £24,995,540 over the five seasons of the survey. 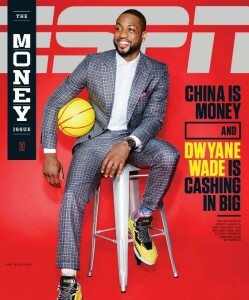 The eye-watering sums on offer in elite European football and in the major sports leagues of America effectively mean that a single five-year deal should provide enough money to set up a player for life. Real Madrid have the next highest five-year total: £24.4m per player on average, followed by the Yankees (£23.6m), then City (£20.8m) and Chelsea (£20.4m). The top 20 in the five-year table are in the graphic below, extracted from the full report. Note that the amounts in the graphic are dollars. The five-year earnings list highlight some counter-intuitive findings, including how relatively poorly the average player in the NFL in America is paid. (The operative word is relatively). 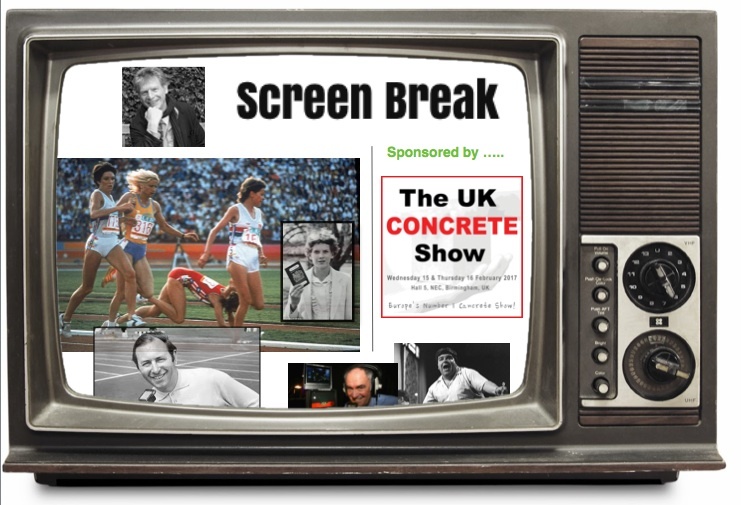 There is a general perception that NFL stars, in an industry awash with cash, all earn bumper pay packets. 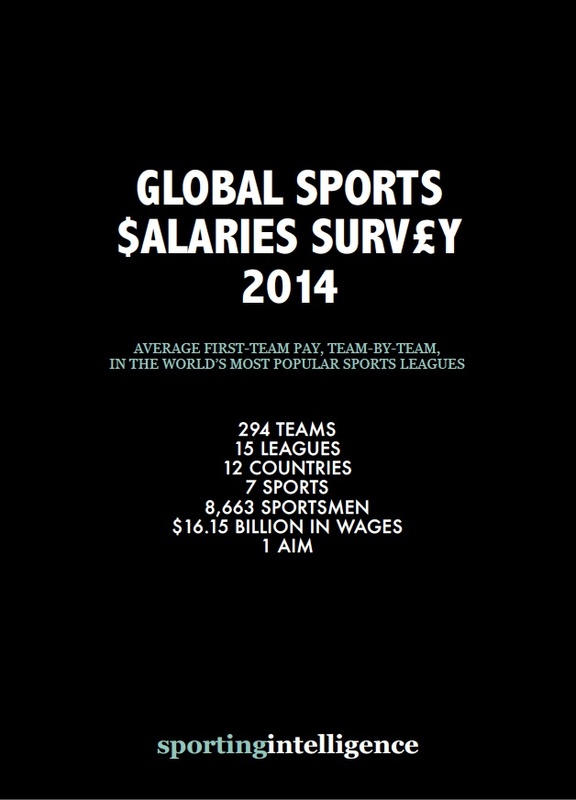 The reality is a few players on each team earn huge money but many earn ‘only’ hundreds of thousands of dollars per year. As a result, the best paid NFL team over five years, the Dallas Cowboys, appear only at No93 in the five-year list, with an average player earning ‘only’ £7.8m over five years. The Cowboys are one place below Everton (£7.87m over five years per average player) and 20 places lower than the best paying NHL ice-hockey team, the Chicago Blackhawks (£9.1m per average player over five years). Back in the 2014 list, US teams from MLB and the NBA fill 11 places among the top 20; with the New York Knicks, Detroit Tigers, Philadelphia Phillies, Boston Red Sox, Miami Heat, San Francisco Giants and LA Lakers all featuring. The Lakers have taken a tumble from No7 down to No19, principally because two high-earning players in 2012-13 left and were not replaced with expensive names. The losses of Dwight Howard (free agency move) and Metta World Peace (waived) helped to take to payroll from $101m down to $78m, and the average Lakers salary fell from $6.3m to $5.2m. The highest earning NFL team does not make an appearance until No115 on the list, where the Minnesota Vikings players earned $2.3m on average in the 2013 season that ended with the 2014 Super Bowl. The best place NHL team, the Chicago Blackhawks, are at No76 on nearly $3m per man per year. The biggest pay increase year-on-year in percentage terms (average salary) is at Toronto FC, where a 256 per cent increase in average salary to almost $600,000 per player per year is largely down to signing marquee names who were playing in Europe, notably England international star Jermain Defoe, midfielder Michael Bradley and Brazil goalkeeper Julio Cesar (the latter albeit on loan).